Americans love utility vehicles, no matter the size or shape. That idea of a multi-use box on wheels that can carry your stuff and your friends with ease is irresistible. But considering how much the SUV ideal has changed since the truck-based Explorers and 4Runners of the 1990s, today’s rising tide of crossovers is disappointingly homogenous. They’re all just blob-shaped, all-wheel-drive appliances that are becoming harder and harder to tell apart. You can always count on more change, though, and a new crop of even smaller boxes is bringing a bit of excitement to the party. This group of so-called “subcompact crossovers”—including the 2015 Kia Soul, the 2015 Jeep Renegade, the 2016 Honda HR-V, the 2016 Mazda CX-3, and the 2015 Nissan Juke—is not boring. Though they’re all based on subcompact car chassis, no one formula for this type of car has yet emerged as the one to beat (that is, copy). A broad range of powertrain setups and sizes, in addition to glaringly different personalities, keeps things interesting. 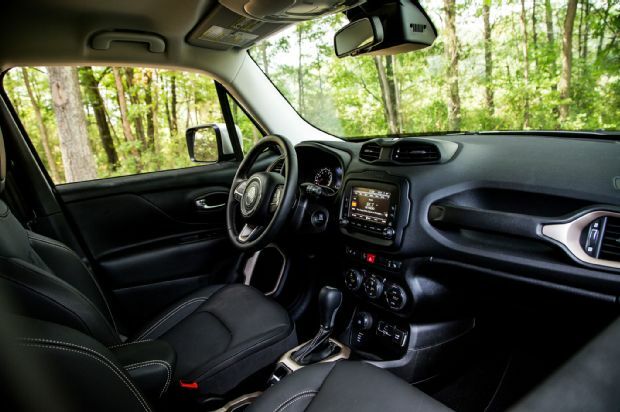 For many people, the Jeep Renegade’s looks alone will be enough to put it at the top of their list. We don’t blame them. 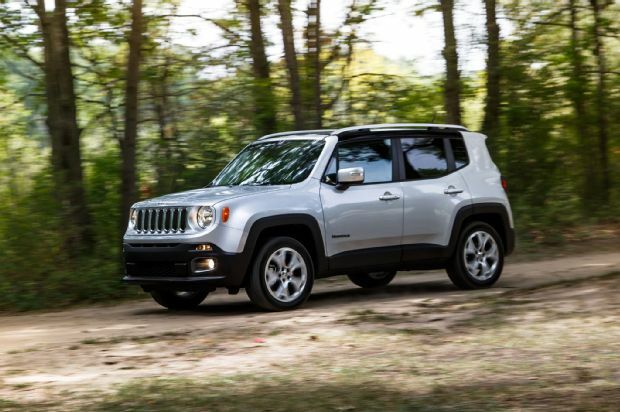 More distinctive than any of the other four competitors inside and out, the Renegade manages to communicate classic Jeep coolness into a small and affordable package. Jeep design cues such as the slatted grille combine with a well-proportioned, boxy shape to create a convincingly rough-and-tumble trucklet. If you simply want a cheap Jeep, this Fiat-based crossover is a no-brainer—and a smarter buy than a Wrangler unless you plan on serious off-roading. But if you’re looking for a small crossover for any practical purpose, you can do better. The 2.4-liter four-cylinder is thrashy, and the nine-speed automatic makes the engine’s 180 horsepower unavailable most of the time. “It takes so long to shift I could time it in minutes,” complained daily news editor Jake Holmes. On the bright side, we do like the Renegade’s steering, and its relatively planted ride and handling make it feel far less tippy than you’d think given its 66.5-inch overall height (nearly half a foot taller than the diminutive Mazda). There isn’t as much space inside the tall, boxy body as we expected. We couldn’t fit a bike in without taking the front wheel off, as the narrow cargo opening and high liftover height make it difficult to use the entirety of the relatively capacious 50.8 cubic feet of space (with the seats folded). At least that space is nicely trimmed, with a pleasing color scheme and plenty of cutesy Easter eggs that play up the Jeep brand’s heritage. The funky little Nissan Juke is the oldest car here, but its fun-loving character hasn’t worn out its welcome. Neither has the flat-out weird styling. Some will hate it; others, us included, will love it. 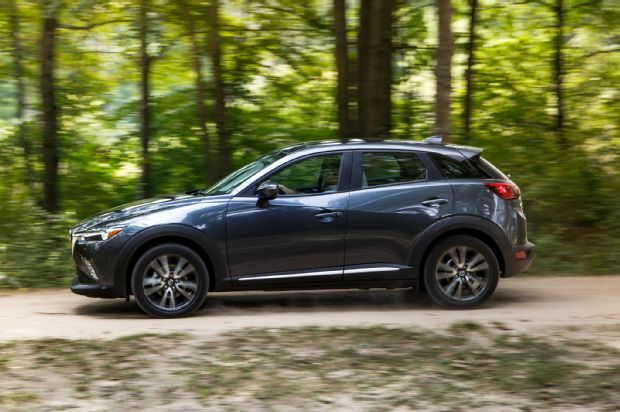 Do beware that the Juke’s sloping rear end severely limits space in the cargo area, and the rear seat is decidedly cramped for two, let alone three passengers. The spunky styling is also backed up by some real verve: We’re fans of the punchy, 188-hp turbocharged four-cylinder, which combines with a responsive CVT (yes, there is such a thing) to provide strong mid-range torque. The handling is fun, too. 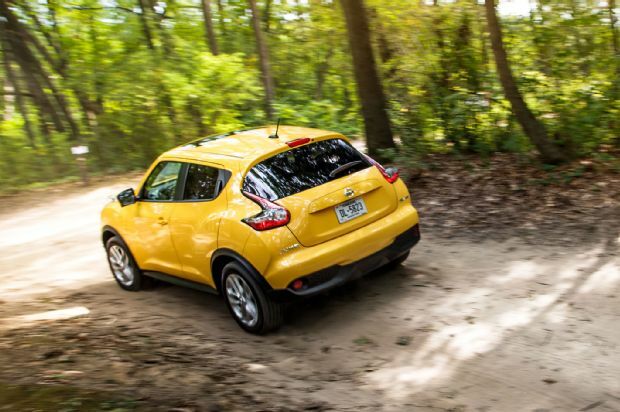 “The Juke has a nimble, tossable feel to it, and the steering is precise and accurate,” noted daily news editor Eric Weiner. The Juke’s age starts to show on the inside, where the tiny touchscreen and subpar plastics remind us too much of a ratty old subcompact. And yet the Nissan still costs $28,225, the second-highest here, and lacks active safety features such as the blind-spot monitors found on the Mazda, the Jeep, and the Kia. The cabin isn’t completely devoid of party tricks, though—we delighted our friends with the center stack buttons that magically switch from climate controls to drive-mode switches on command, and the 360-degree camera view is useful in parking lots. 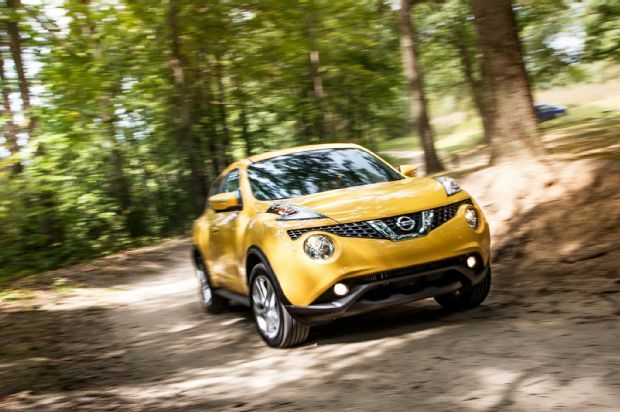 The Juke has never been easy to categorize, and its appeal defies its low ranking. 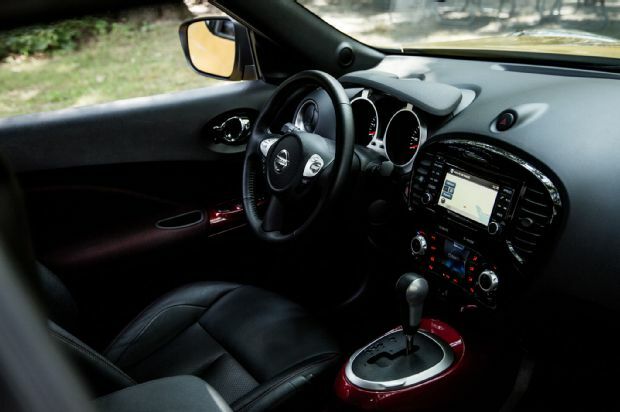 If space is not your highest priority and you like the look, the Juke will still put a smile on your face. 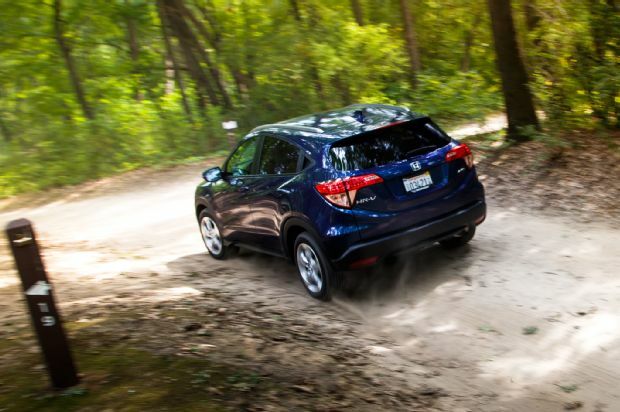 The Honda HR-V makes the most sense of any vehicle here. Its eminently configurable and spacious interior offers incredible utility in a small package and lives up to Honda’s reputation for genius packaging. With the bottom seat cushions flipped up, we stood up two bikes in the rear seat while still leaving all 23.2 cubic feet of space in the cargo area wide open. 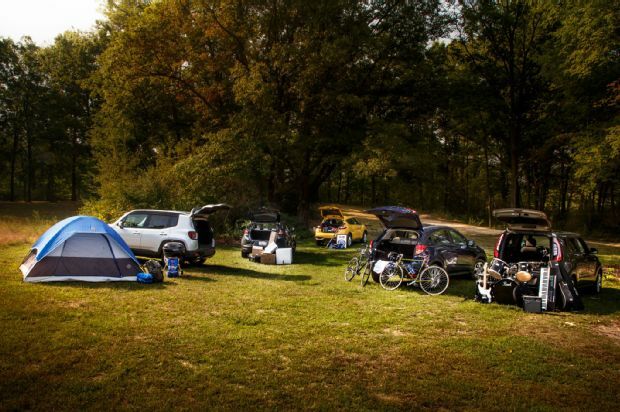 Take it camping, load it up with friends, fill it to the brim with your monthly Costco bounty—the HR-V seems like it’s up for anything. Up for anything, that is, except for having fun. The powertrain is a letdown, with an unresponsive CVT that’s loath to let the 1.8-liter four-cylinder rev anywhere near its torque peak. 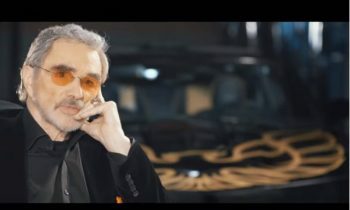 “Lots of unrefined noise without much acceleration in return,” senior editor David Zenlea said. Light steering helps with parking-lot maneuverability but combines with the soft suspension for lazy, boring driving. It’s hard to believe this is based on the zippy Honda Fit. 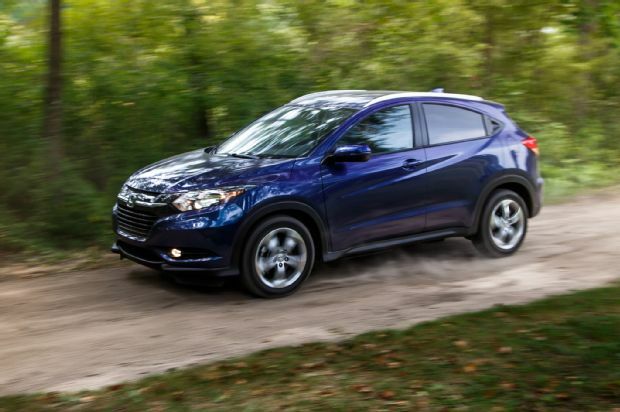 To its credit, the HR-V does provide a comfortable, composed ride, and matches the Mazda for the best fuel economy ratings of the bunch. The Honda also offers good value. Our loaded, all-wheel-drive EX-L model comes in at $26,750, the second-cheapest in this group, and comes with features such as navigation, heated seats, a sunroof, and Honda’s blind-spot camera system. However, all this good sense is spoiled by a frustrating touch-sensitive interface. The counterintuitive infotainment screen unnecessarily complicates tasks as simple as adjusting the stereo volume. What happened to Honda’s commitment to simple, easy-to-use interiors? The dashboard’s sleek look certainly isn’t worth the compromise in usability, especially considering it comes in such a bland package. If you’re dead-set on an HR-V and its class-leading practicality, it’s best to forgo the EX-L’s extra features and choose the base LX model, which has more traditional controls and can be had with a stick. The attractive Mazda CX-3 is a foil for the dowdy-looking Honda; in the CX-3, function is clearly less important than form. Our knees rubbed against the front seatbacks while sitting in the rear, and the rising beltline means that your passengers have a pillbox view outside. We had trouble fitting much stuff in the cargo area, too. It’s not just the paltry amount of space available (only 10.1 cubic feet behind the rear seats)—the tailgate opening is also the smallest of all these cars, and the liftover height is among the highest. Yet for all those objective shortcomings, Mazda’s smallest crossover overdelivers on just about every subjective category. It drives better than any other car in this comparison and looks sharp enough inside and out to warrant a premium badge. 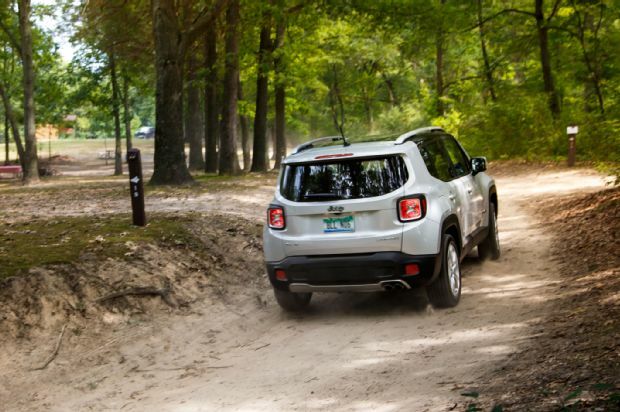 And unlike the other fashion-first vehicle in this test, the Renegade, it has the substance to back up its style. Its sophistication is evident in everything from the quick-shifting automatic transmission and the accurate steering to the solid-feeling infotainment control knob, which wouldn’t be out of place in a Mercedes-Benz. “I’d rather go to a job interview driving this than any of the others,” said photographer Patrick Hoey. For all that, the Mazda is still affordable to buy and operate. Our well-equipped Grand Touring model costs $27,120 and gets impressive fuel economy even with all-wheel drive. 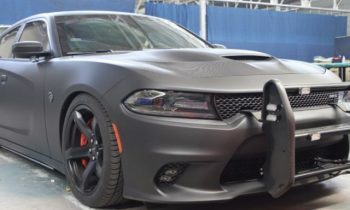 What to make of such a good car that happens to be a terrible crossover? 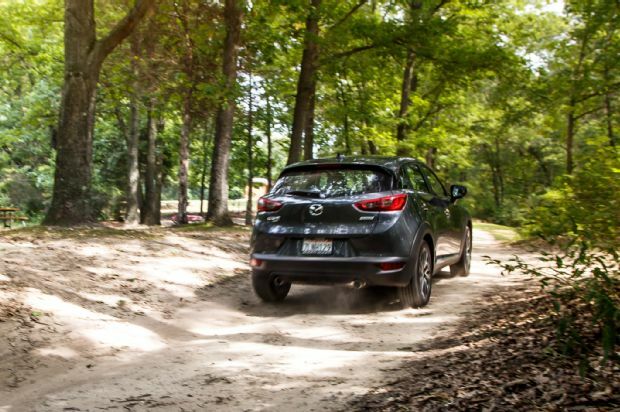 Zenlea likened the CX-3 to a sort of budget alternative to the Range Rover Evoque, pointing out that the Mazda is “expressly designed to look unconventional, not to be utilitarian.” This stylish, sporty little box is certainly likable, but more than any of its competitors—even the silly Juke—it makes us ask, “Why?” Unless the CX-3’s crisp styling and all-wheel drive are must-haves, you’re better off buying a cheaper, more efficient, and just as fun-to-drive Mazda3 hatchback. 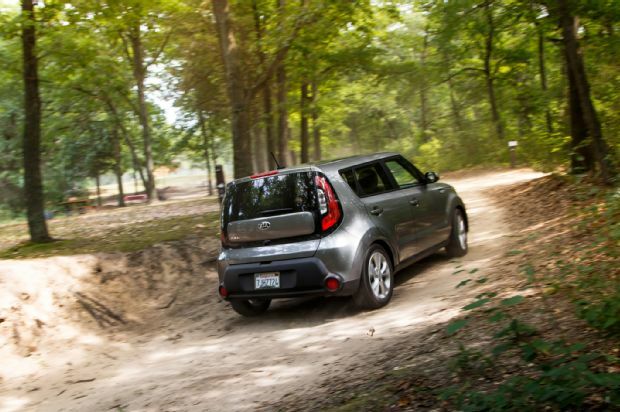 The Kia Soul has been playing this game a little longer than the others in this comparison. Now in its second generation, the fast-selling Soul has matured into a refined, attractive, pleasant-to-drive box that does just about everything well while asking for fewer compromises than any of its competitors. It is nearly as nice as the Mazda inside and out, but is nearly as practical as the Honda. Its refined four-cylinder pairs with a fast-responding six-speed automatic that is never caught flat-footed. The fine art of suspension tuning has long eluded Kia engineers, but the Soul finally gets it just right with a composed, quiet ride. 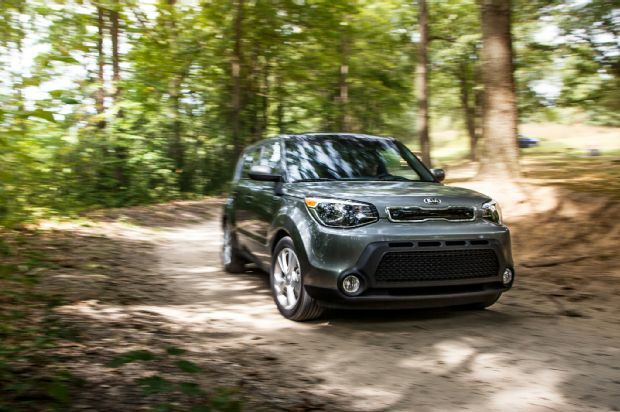 One major shortcoming for some will be the Soul’s lack of optional all-wheel drive. Kia officials say it’s coming. In the meantime, this Michigan-based staff is confident that with a good set of winter tires, there are few places this high-riding front-wheel-drive box won’t be able to take you. You’ll definitely have cash leftover for tires because the Kia is the cheapest car in our test (and would remain so even if you were to add a hypothetical $1,500 for all-wheel drive). It’s paradoxically one of the best equipped. For our test car’s price of $24,750, you get a heaping load of luxury features, including a panoramic sunroof, a heated steering wheel, heated and cooled front seats, and heated rear seats. It’s all thoughtfully arranged and handsomely appointed. “Not only is the infotainment system useful, clear, and attractive, there is handsome stitching and leather all over,” noted Weiner. All in all, the Soul looks and feels like something more than just a little car, which is, we suspect, the most important point in this young segment.